Learn to surf in 1 week? Easy life! We’ll teach you from theory and basics to your first green waves with maximum of fun and good company around. After the classes we’ll show you the most beautiful places, meet sunsets on the cliffs, make BBQ-parties with a fresh fish from the ocean and watch surf movies together. 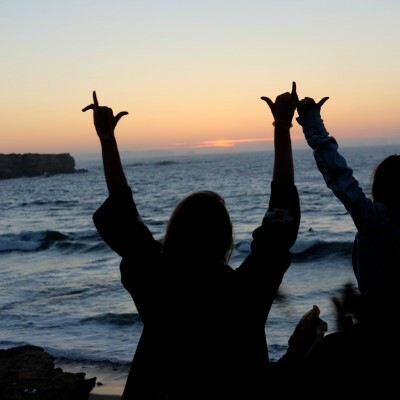 You’ll have friends from all around the world, great surf experience and unforgettable emotions. Come surf with us and be a part of oceanside family! 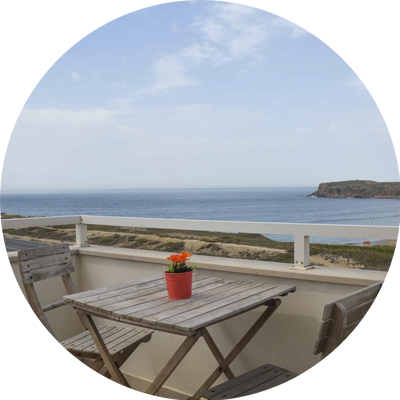 Our guest houses located right by the beach and 10 minutes walk to the surf school. Enjoy your holidays in a great company with the best view to the ocean. Our team of local certified instructors is ready to teach you everything about surfing. With a large experience in the area we always find the best way to surf and to enjoy the ocean. 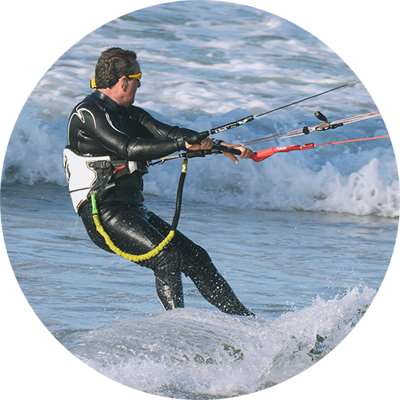 With over a decade of experience in teaching kitesurfing in Peniche, top material and your motivation we can assure you a safe and easy way of learn kitesurfing. We use yoga to improve our skills in surfing. It’s the best way to find a balance, stay focused and add stretching to your body. With our certified teacher it will be easy! 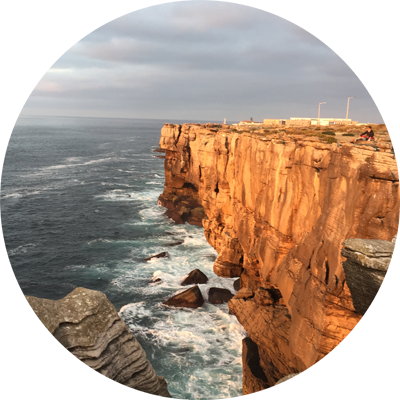 Get in our surf van and go explore the city of Peniche, medieval village of Óbidos or legendary Nazaré. We’ll show you around and make you fall in love with Portugal. 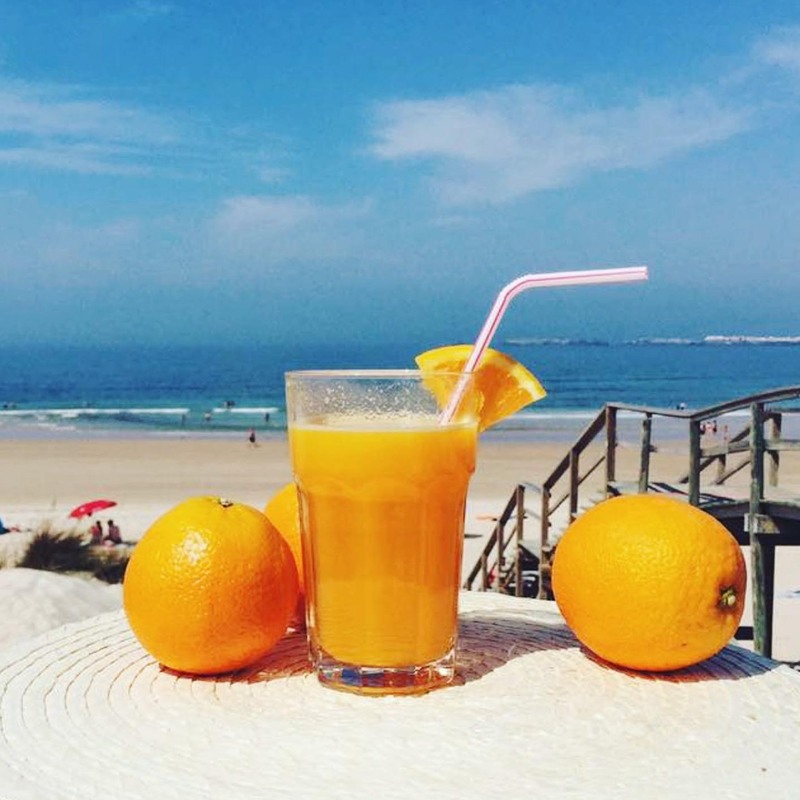 Located on the main beach of Peniche, here you can find everything you need to surf and enjoy the beach. Have a lunch or take a fresh drinks and go take a suntan. Peniche Kite & Surf Camp – one of the most experienced surf schools in Peniche. Since 2003, we’ve been introducing people to the ocean, teaching them to catch waves with a surfboard, kite or SUP. Our surf school placed right on the beach with perfect waves to learn surfing. Certified surf coaches by FPS, as well as certified beach lifeguards with a big experience in surfing. We know the place better when anybody around and will teach you surfing in the best way. Really nice staff and owner, rented us good quality surfboards (at least, good quality by rental standards) and also cooks a delicious bacon cheeseburger! 😀 Ask him about the Canadian guy who sliced his buttcheek with the board fin if you want a laugh. Perfect location, right on the beach. Great for surf rentals and lessons. We surfed for 4 consecutive hours in smallish waves, perfect for my friends to learn on. Ohh.. My mind still there, on that awesome beach, with that cool guys and nature!! I cried when I was leaving that place. Thanks for all! Boss of the school took us from the bus station first day and helped us to call the taxi the last day. Good place for surfing. Surfing lessons twice a day. After surfing u can have lunch with a good view in school cafe or you can chill on chair bags. Two hostels near the school. We stayed in Papoa 51. Hostel with great terrace. We had bbq evening on tghat terrace with all school team. Was great time) miss u guys!! hope to see you soon again! Want to surf with us? Let us know and we will make you the best offer!